Woww this book was something! This is really a very good attempt at Utopian science fiction. And to think this is Katie Khan’s debut novel… !! Max and Carys are floating in space with only ninety minutes of oxygen left in their tanks and with nothing around except for an asteroid belt that hit their spaceship leaving nothing useful behind. 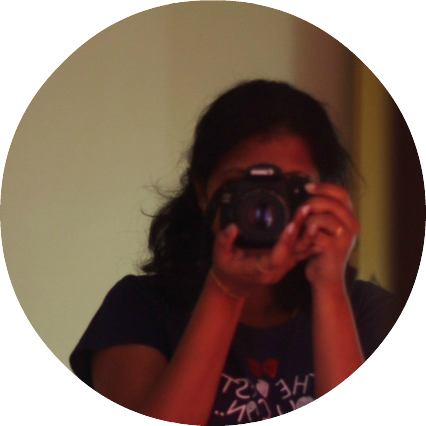 The chapters are alternatively told with how much time that is left with that of their past. The past was just a bit boring, cheesy romance of how they met and how they ended up in the spaceship with no other cosmonauts. The story setting is based on fictional Utopian world that is formed after the destruction of the United States and the Middle East and the form of living the post-war world adapts to – The Rotation. For every three years, people who belong to the Europia and are in Rotation, will be moved to different regions of the world. There can be no relationships that are permanent until you are 35. Everyone is answerable to no one except their own and they take responsibility for their selves in this new world. No religion, race, ethnicity, caste etc. Max is from the founding families of the Rotation and he lives by it. While Carys, is enrolled in it only after 18, has enough roots and commitments prior to Rotation so she hates the system. What happens when they meet is what follows and yes, eventually ending up in a spaceship. 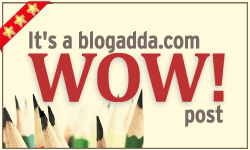 Sci-fi wise the book was great and wonderful creative writing. Romance-wise it was nothing different. As the minutes are ticking and there’s no miracle happening, i was intrigued and definitely wanting to finish the book to know its end. And boy was i surprised. I don’t want to give spoilers but those last few chapters were amazing! Running away is as easy as breathing for Willow. She has ran away from her rich dad several times during her 16 years of life. This time, though, she plans her escape (from what!?) and lists out rules that she needs to follow to make sure she doesn’t get caught again. She experiences life out of her luxurious home, begs, steals, auditions for the circus, gets betrayed and learns so much about herself during this escapade. I may have a love/hate relationship towards this book because i didn’t like Willow that much. The book tells that she is from a very rich background, with her own ponies and boarding school and house keeper etc. Yet, she is unhappy and tries to run away at every chance. The reason why she is so much obsessed with running away is – her dad doesn’t love her, she wants to find her mother who is presumed to have worked in a Circus, and she hates that her dad is re-marrying the Handbag (All through the book, this character is referred to as Handbag, no reasons provided, although actual name is given). She sabotages the wedding dress – so much hatred – and runs off with her gap year money in search of a mother whose memory is only associated with her throwing off baby Willow in the air. Right! Looked like Willow hated everyone – except Suze (a street performer, also a runaway) who she initially hates and then takes care of later in the book – even her house keeper. Why there is so much angst, I couldn’t comprehend. Rich, spoilt and naive. Willow recalls how her dad is never the one to find her and which is why she keeps running away – to be found. 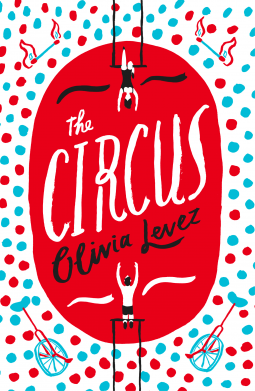 I liked the Circus part of the book, where she tries to learn new things and live her dream although short lived. Some people would have liked the Suze-Willow part, but truthfully that just made me sad and think this is how much you suffer or experience when you run away from home. The world is not a happy place for runaways.. People betray you, cheat you, take advantage of you and leave you with broken heart and lessons for a lifetime. So yes, I recommend this to those that seek attention from parents, to those that are feeling unwanted, left out and want to leave everything behind in search of a place where they would belong. Get the book from Amazon.in, Amazon.com. Reed Stewart thought he’d left all his small-town troubles—including a broken heart —behind when he ditched tiny Bloomville, Indiana, ten years ago to become rich and famous on the professional golf circuit. Then one tiny post on the Internet causes all of those troubles to return . . . with a vengeance. Becky Flowers has worked hard to build her successful senior-relocation business, but she’s worked even harder to forget Reed Stewart ever existed. She has absolutely no intention of seeing him when he returns—until his family hires her to save his parents. This book is the last of the Boy series by Meg Cabot although you can read it as a standalone. 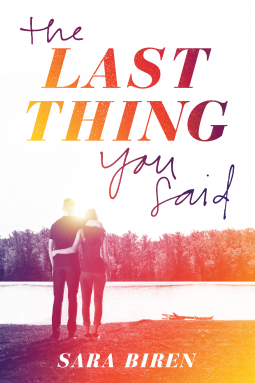 This is about Becky Flowers and Reed Stewart who dated during high school but after a small ‘incident’ involving his father’s golf truck on his prom night and cops , Reed leaves Bloomville without another word to his girlfriend and never returns. Fate however has a different plan now that after ten years he is ‘forced’ to revisit the place. Becky is now a strong independent woman leading her father’s business to success and is somewhat grateful for a boyfriend who has a ‘cheese and wine’ boutique in town! Things get interesting when Reed and Becky’s lives are intersecting again. This isn’t a new story line but what is new and makes the book sooo interesting is the fact that it is told entirely through text messages, emails and newspaper articles. Yes, the plot is pretty much predictable but try telling a story through texts, at the same time introducing many characters, but still keeping the readers engaged. 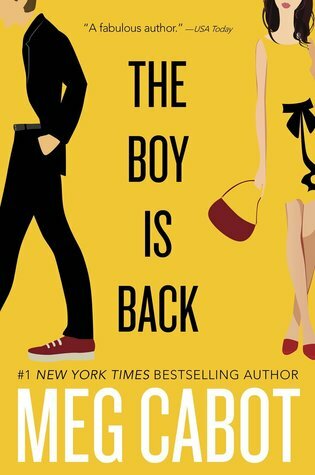 Its the return of the Meg Cabot that i loved and worshipped !! 😛 I was so taken aback after reading the finale of Princess Diaries – Royal Wedding. But this book !! Its everything i love about Meg Cabot’s writing style, the funny narration and lovable characters. I so loved Marshal and Carly Stewart, Reed’s brother and sis-in-law. These people are couple goals, really! Not the dying for each other love, but typical tom-and-jerry bickering but all the same loving and being funny couple. I’ve always wondered how difficult it is to write a novel in epistolary format and this book just does it with texts and emails and you get the complete picture without big descriptions and paragraphs. Fans of chick-lit, Meg Cabot, Sophie Kinsella.. this book will not disappoint you! Sometimes at the lowest points in your life, fate will gift you chance. A golden thread of love links the fifteenth and twenty-first centuries. 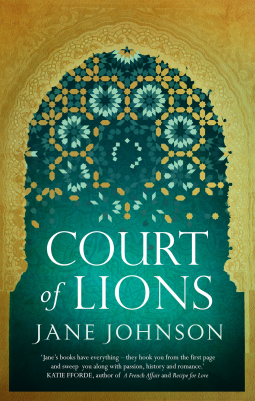 An epic saga of romance and redemption, Court of Lions brings one of the great turning-points in history to life, telling the stories of a modern woman and the last Moorish sultan of Granada, as they both move towards their cataclysmic destinies. The story is about Kate Fordham, who has a disastrous past and flies away from it to the Province of Granada. She is broken, thanks to her past, and she just manages to survive in a foreign country living each day in guilt and fear. She finds solace in the gardens of Alhambra and one day when she takes a stroll, she finds this note hidden in the walls. She is intrigued by it and in an attempt to find what the note actually means, she meets new people and finds friendship and finally the courage to let someone else in her life. There is also a parallel narration, from the point of view of Blessings, the (fictional) royal companion of Sultan Abu Abdullah Mohammed, the last Nasrid ruler of Granada (Also called as Momo by Blessings) . This narration explains the unrequited love that Blessings had for Momo, the war that led to the fall of the Nasrid dynasty and the Spanish Inquisition. This was quite tough to follow, because of various historical references and me not being very good at World history. Kate’s part was easy to follow and I was expecting something more along the lines of the ‘note’ she finds. Blessings’ narration was little difficult and I was confused from the beginning whether its a girl or a boy. So this was explained towards the end of the book and that made sense. I liked the way the chapters were set, one suspense from Kate and the next chapter begins with Blessings narration or the vice versa. There was so much love in the eyes of Blessings for Momo, even though the Sultan loved his royal companion, it was clearly a ‘Friend Zoned’ relationship. Moors and Hews and Castilians mingling in souks and markets to buy and sell and exchange news and gossip. Until, of course, the ambitions of the powerful set one against the other. The author’s note explained why she had written this book around the Sultan. History has it that the Sultan wept after giving away the keys of his Kingdom to King Ferdinand and Queen Isabella. But this is debated as a story made up, and so the author decided to give the story from his closest ally’s point of view recounting the events that led to the fall of his kingdom. A chance to celebrate him, for what he truly is. It was beautifully detailed and leaves you with so much pain. I wasn’t that much hooked to Kate’s life and how the story progresses there. I give 4/5 stars. A tragic historical fiction with a little suspense. Source : I received an ARC from the publisher via NetGalley in exchange for an honest review. Last summer, Lucy’s and Ben’s lives changed in an instant. One moment, they were shyly flirting on a lake raft, finally about to admit their feelings to each other after years of yearning. In the next, Trixie—Lucy’s best friend and Ben’s sister—was gone, her heart giving out during a routine swim. And just like that, the idyllic world they knew turned upside down, and the would-be couple drifted apart, swallowed up by their grief. Now it’s a year later in their small lake town, and as the anniversary of Trixie’s death looms, Lucy and Ben’s undeniable connection pulls them back together. They can’t change what happened the day they lost Trixie, but the summer might finally bring them closer to healing—and to each other. Trixie and Lucy are best friends right from their kindergarten days and are glued to each other. 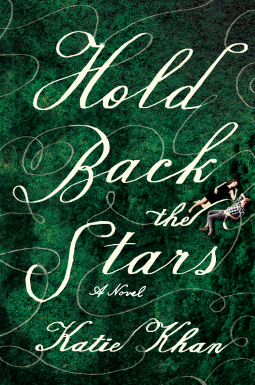 At the age of 12, Lucy realizes that she has a crush on Ben, Trixie’s brother and when she blurts it out to her best friend, she is surprised by the fact that Trixie is overjoyed that one day they will be married and the two of them will become sisters. For the next three years, she silently yearns for Ben while he shifts from one girl to another. The summer which changes her life, the summer where Trixie decides to bid goodbye to them forerver, is the summer Ben starts falling for Lucy. Minutes before his sister’s death, he is about to ask Lulu to be his girlfriend when Lucy’s brother Clayton cries for help and interrupts his question. While both Lucy and Ben grieve for Trixie, Ben kisses her just after the funeral, which turns Lucy into a fireball of emotions and pushes him off. Ben is ashamed of what he did and guilt takes over him that makes him react in the stupidest way possible. He blames Lucy for Trixie’s death. That he couldn’t save his sister, because he was distracted by Lucy.. Total douche bag move! Fast forward to the present, its been one year since Trixie’s funeral and Ben and Lucy are not talking to each other, let alone be in a relationship. Both the families are trying to recover from the loss of the loved one – Trixie’s mom takes up gardening and keeping herself busy, her dad ends up drinking while Ben turns cold, insensitive, alcoholic and angry, round the year. The summer after her death, Lucy is still trying to get over her first love and her neighbor’s summer renter Simon turns to be a distraction. Only when something is lost we do realize its worth and Ben soon finds himself jealous of Simon and though he wants Lulu back he is not helping it because of his dumb moves. He couldnt save Trixie, but could he save himself from getting deep into trouble and winning back Lucy’s love? This book is a totally an emotional journey through loss and broken relationships. I have lost my best friend too, not to death but to circumstances and I can imagine how much it would hurt when he/she is no more. But I did not like that their lives are still stuck with the past summer and that 80% of the book is about grieving. I mean, i think that okay, this is the point he is going to make up for his behavior, but no ! again he goes and breaks her heart. The book reminded me a little of Twenty Boy Summer, by Sarah Ockler. Sea glasses in that book, while it was agates in here. Both books are about the grief caused by the death of an important character. Sadly, i do not have a quote that i like from this book, even though there’s so much stress on the Book of Quotes that Trixie and Lulu have. I’m not sure whether I will re-read it because its little sad, tragic and emotional, but definitely recommend anyone going through the final stages of mourning a lost love to read this. My rating is 4/5.